Spring is here, which means the sun is shining, plants are growing, flowers are blooming, and of course, wildlife is awakening from their winter hibernacula. With more wildlife activity, you can be sure to experience some issues if you live close to wooded or forested areas. One of the most common complaints by homeowners this time of year is lawn and mulch bed damage. After taking the time and effort to re-mulch, re-seed, and rejuvenate your property, you would be quite frustrated to notice signs of lawn disturbance. 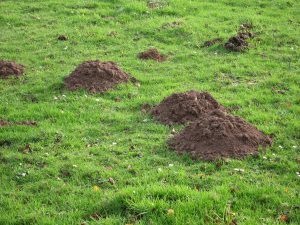 The culprits behind these lawn damages are generally one of two animals, moles or voles. Continue reading to learn the difference between the two, and what to do to manage a nuisance wildlife problem on your property. 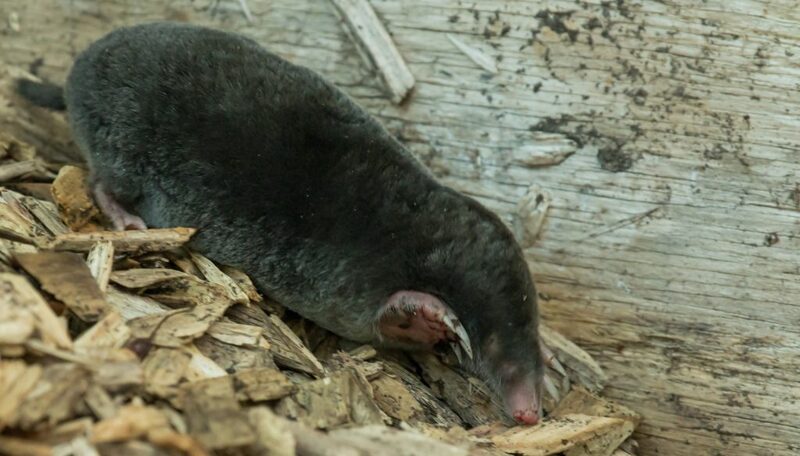 Moles are small subterranean mammals that are common wildlife in Indiana. They are covered in dark brown or black fur, which also covers their tiny eyes. For this reason, many wrongly assume moles are blind, but they are not! Their most distinguishable traits are their short, powerful front limbs and polydactyly paws. They use these extremities to dig through dirt and create tunnels underground. This can cause the lawn and mulch disturbances commonly complained about among residential property owners. 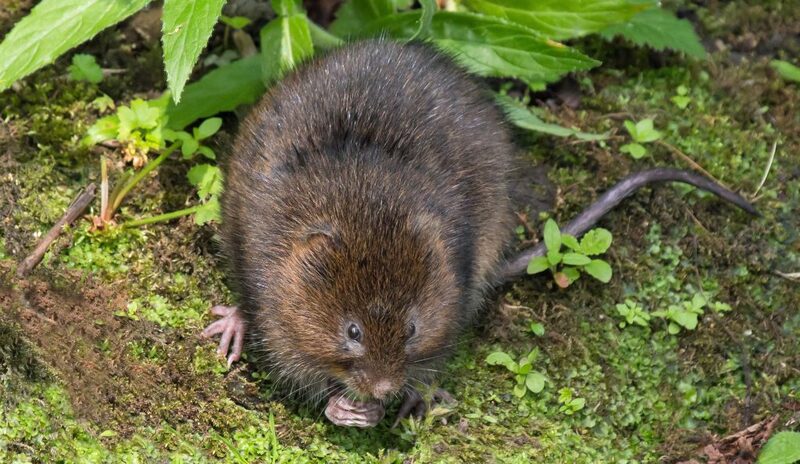 The mole’s closest relative is the shrew, and not the vole. In fact, voles are an entirely different animal altogether. Unlike moles, who are mammals, voles are rodents. The closest relative to the vole is a mouse, although they are a stouter, smaller version. There are over 150 species of vole, which are also known as meadow mice or field mice. Because of their physical appearance, they are commonly confused for moles, gophers, muskrats, shrews, mice, and even squirrels. They burrow under plants and mulch beds just like many of these above-mentioned animals, making them a sly culprit to diagnose. 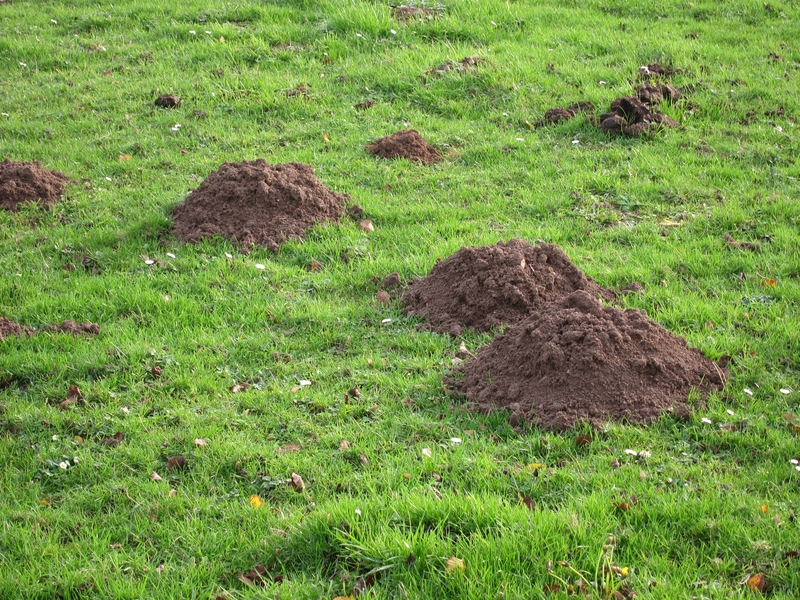 Several mounds are common signs of mole presence, while thin tunneling is more likely vole damage. The most effective way to combat nuisance wildlife disturbances like this is to hire a professional wildlife control company in your neighborhood. They have the training, knowledge, and resources to protect your property from wildlife damages. Call 317-257-2290 for professional animal mole removal and control in Indianapolis, Indiana. We are DNR licensed and insured wildlife rescue contractors that serve residential and commercial properties with safe and humane wild animal control at an affordable price. Call 317-257-2290 to request a free estimate, today. This entry was posted in Animal Mole Removal and tagged animal mole removal, vole mole difference, vole removal Indianapolis. Bookmark the permalink.